The black and grey tattooing style has been around for a surprisingly long time. Rumoured to have originated in prisons during the 1970’s, this technique-once known as ‘jailhouse’- later became one of the most popular trends in tattoo parlors. Some might wonder, ‘what is so special about this specific style?’ Black and grey tattooing is unique in that it uses only black ink and water, watering down the black ink to create multiple shades of grey. In the prisons, it was a matter of making the best of the few materials they had. 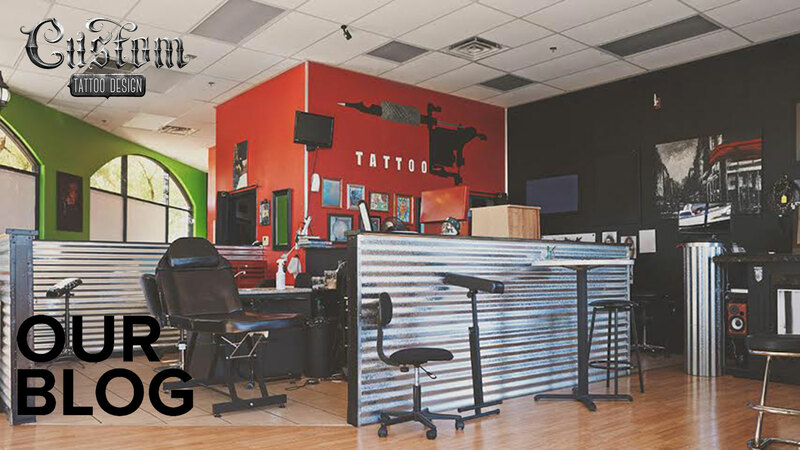 Today, it’s not uncommon to come across tattoo artists who use premade grey washes when doing black and grey tattoo designs for their clients. 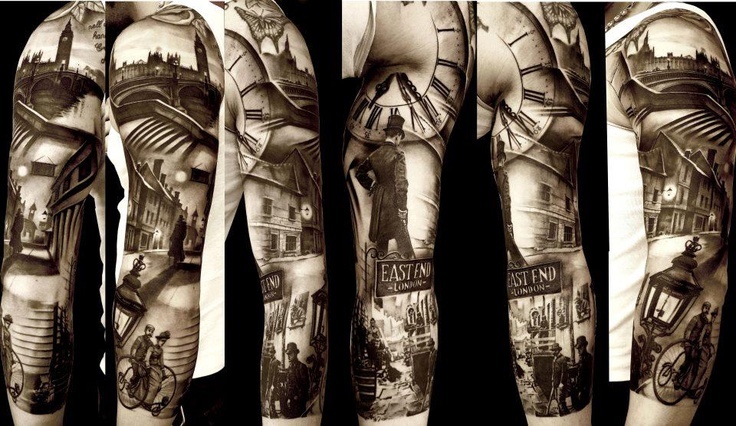 Since black and grey tattoo designs are some of the most popular around, we decided to put together a list of the best styles for black and grey tattoo sleeves. Read on, and be inspired to create your own! This traditional Japanese tattooing style often depicts the persistent koi fish, swimming upstream, alongside other central Japanese symbols, like the tiger, the phoenix, and the hibiscus flower. The unique shading of the black and grey style creates many robust tattoo designs. Abstract tattoo designs are unlike any other: they exist independently from the concrete world before us. 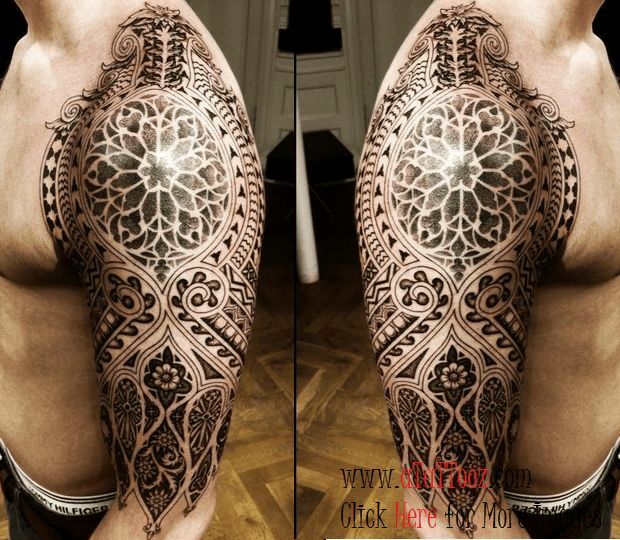 This kind of shading is often portrayed in trash polka designs, which make great black and grey tattoo sleeves. Though these designs often feature clean geometric lines, the blackened parts of the pattern often show some variation in shading. Since these Ancient Indian patterns are so sprawling, it’s easy to make a black and grey tattoo sleeve out of them! 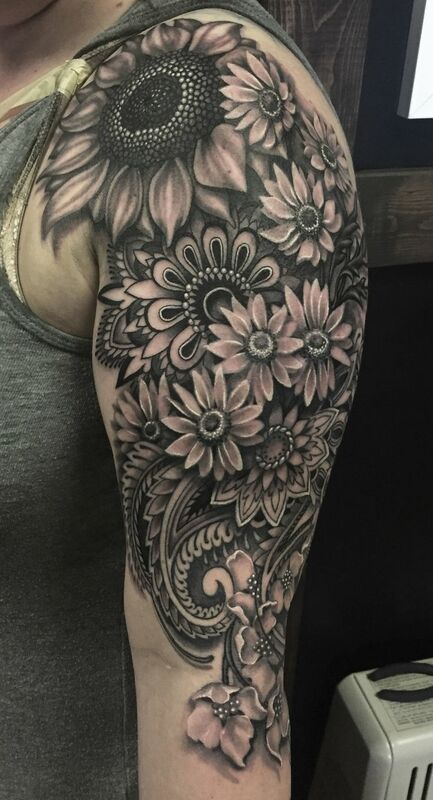 Black and grey style shading helps flaunt the organic curves and contours of a flower, making it look more realistic and aesthetically pleasing. Photorealistic tattoo designs often feature portraits or full street scenes. In order to create a realistic look, tattoo artists use black and grey style shading, resulting in a mysterious, vintage look. This style characteristically features simple shaded designs, like skulls, pinups, and swallows, with a bold black outline, making a perfect look for a black and grey tattoo sleeve. To lend dimensionality to the metal machinery featured in these designs, a great deal of grey shading is required. 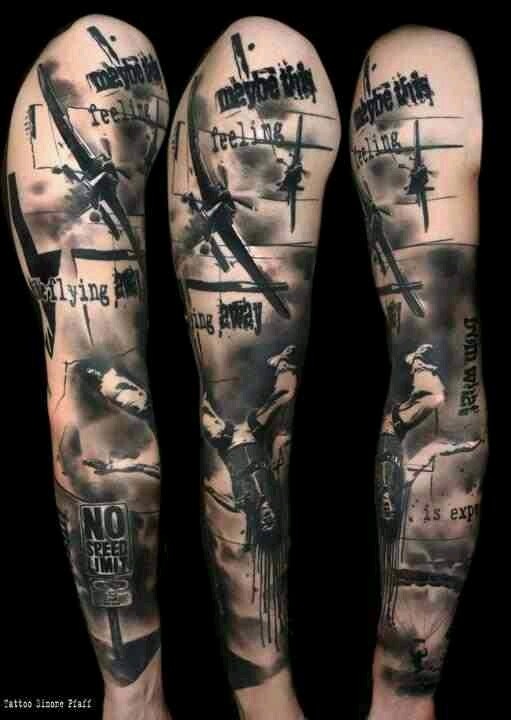 Biomechanical tattoo sleeves are easily one of the best styles to have done using black and grey tattooing. 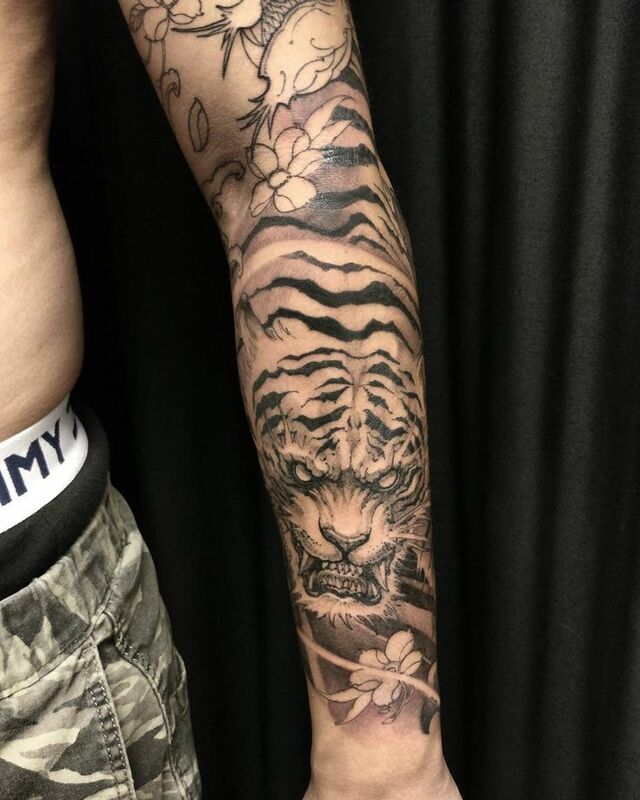 As you can see, there are plenty of creative ways that you can take the black and grey tattooing style to create the perfect sleeve. Whether you’re into modern styles, like trash polka, or traditional ones, like Irezumi, black and grey can be used to design whatever you desire. 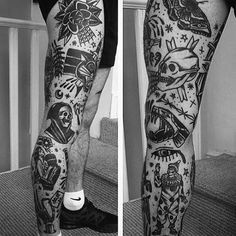 If you know of any other tattoo styles that suit black and grey style, let us know about them in the comment section below!